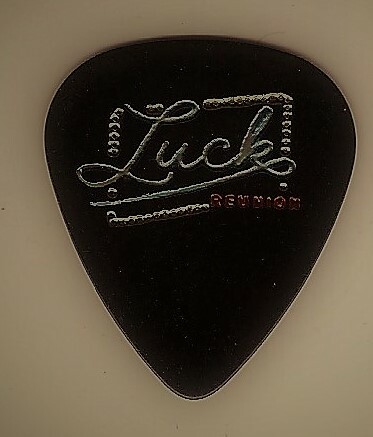 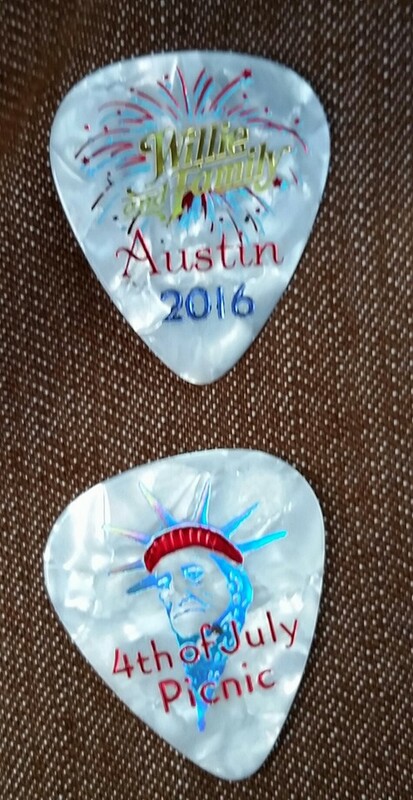 Thank you, Budrock Prewitt, for sharing guitar picks for the Luck Reunion. 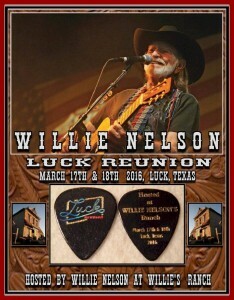 Luck Reunion guitar picks from last year, by the late great Guthrie Thomas. 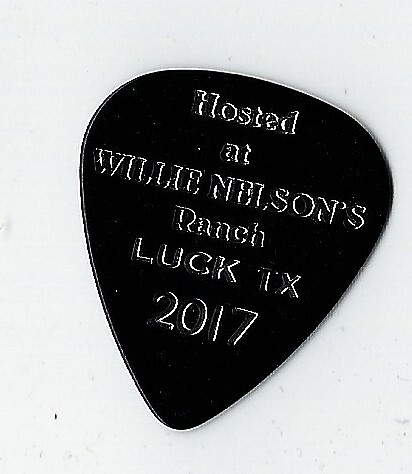 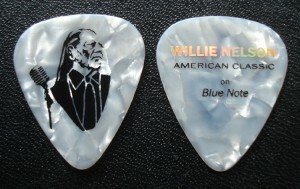 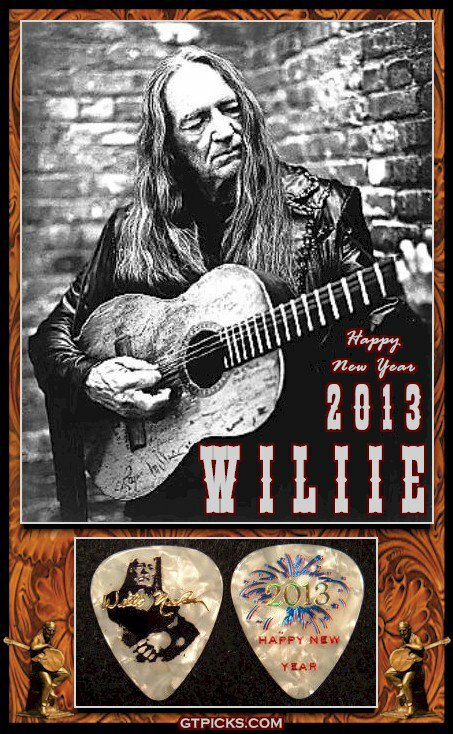 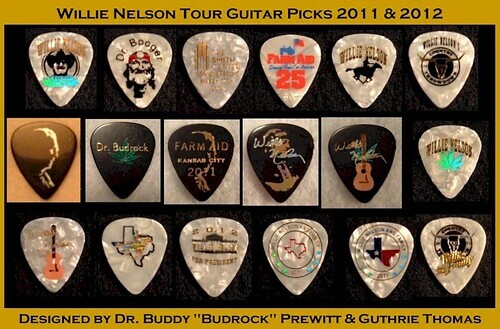 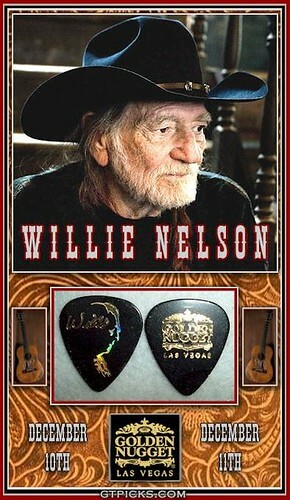 The beautiful guitar pick celebrating the Willie Nelson & Family Show in Las Vegas in 2013. 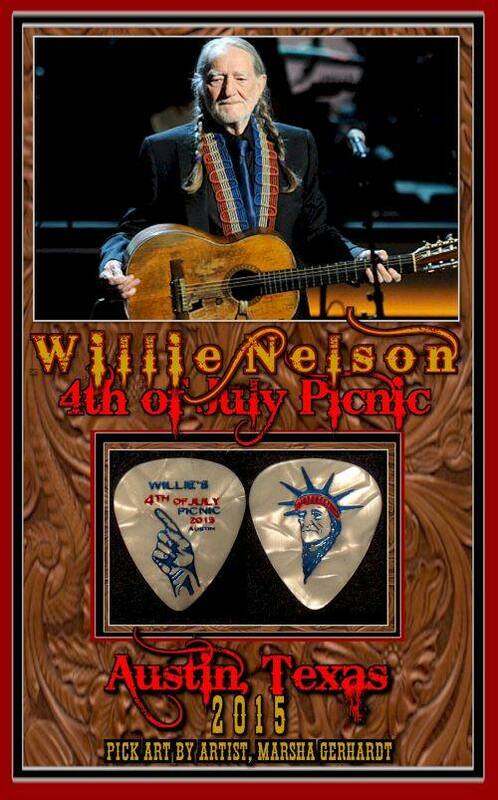 Another beautiful design by Budrock Prewitt and the late, great, Guthrie Thomas. 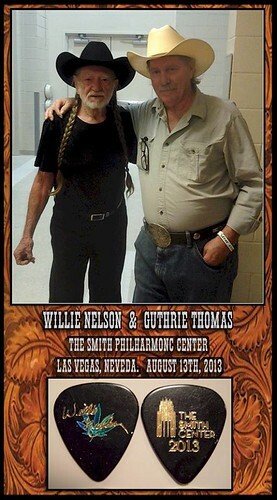 “Our friend and guitar pick maker, Guthrie Thomas passed Wednesday morning from a heart attack in his sleep. 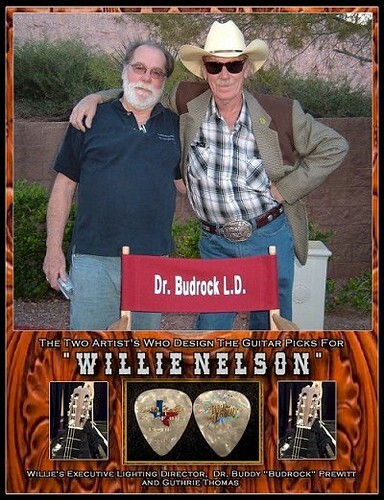 I just spoke with his wife Toni again. 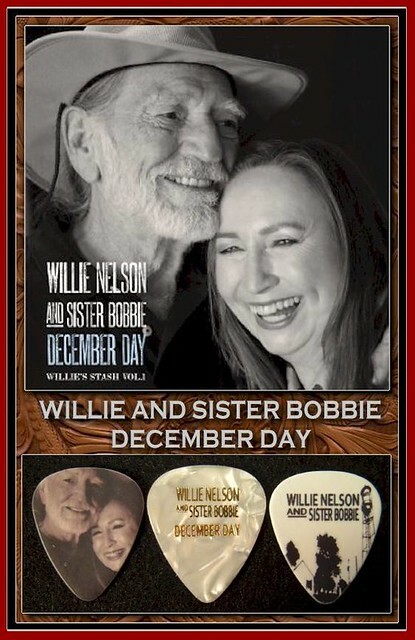 She has finalized his Funeral arrangments.